Good morni ng! You’ll notice that a good many of the stories in this issue touch on an ever familiar factor in our personal and business lives: technology. Thanks to it, we now expect hurricane season not to be so rough this year; we have an early warning that our insurance risk may be out of whack due to explosive home remodeling over the past 5-10 years; and that granular data collection applied through new modeling is becoming a game changer in flood insurance. Technology, applied with the human touch, can indeed have a positive impact on many parts of our lives. Speaking of flood insurance (and all the news and on-going debate about NFIP reauthorization), thank you to those who sent warm notes on my recent Insurance Journal Commentary. There’s also an instructive flood angle to the latest edition of The Florida Insurance Roundup podcast released last week about “Insurance Nerds”. Guest Nick Lamparelli is co-founder of a year-old Managing General Agent firm, focused on flood insurance. He celebrated a victory the day we recorded the podcast, selling a policy no one else would write – he and his team figured out a way to do it (and on an underground parking garage, no less)! The growing market for flood insurance is creating a new spirit of entrepreneurship, where previously unwriteable risk is being written. This “find a way or make a way” philosophy is personified in Nick – so this is a podcast you don’t want to miss!” Now let’s find our way to the rest of the news. The Worst of Hurricane Season Awaits? As we enter the heart of hurricane season next week – late August through early October – there’s good news to report from NOAA. Forecasters have dramatically decreased the chance of an active season, thanks to conditions in the ocean and atmosphere that tend to suppress development of storms. But with the good news comes a warning for continued preparedness and vigilance. As those of us in the business know, anything can happen! An average hurricane season produces 12 named storms, six of them hurricanes, and three of them major. NOAA’s Climate Prediction Center has now increased the likelihood of a below-normal season to 60% (up from its initial 25% prediction in May) and have decreased the chance of an above-normal season to 10% (down from 35% in May). So far this season, we’ve had four named storms, including two hurricanes. So with its revised predictions, NOAA is looking for 9-13 named storms (winds 39+ mph), with 4-7 of them becoming hurricanes (winds 74+ mph), and 0-2 of them major. Credit goes to El Nino, that upper level steering current, that forecasters say is now much more likely to develop enough strength to suppress strong storm development off of Africa during this latter part of the season. Surface sea temperatures across the Atlantic and Caribbean Sea have remained much cooler than normal, which is also helping. Forecasters also say a combination of stronger wind shear, drier air, and increased stability of the atmosphere will discourage hurricane formation. With this revised forecast, FEMA is warning the public not to let its collective guard down, which typically happens during slow storm times. 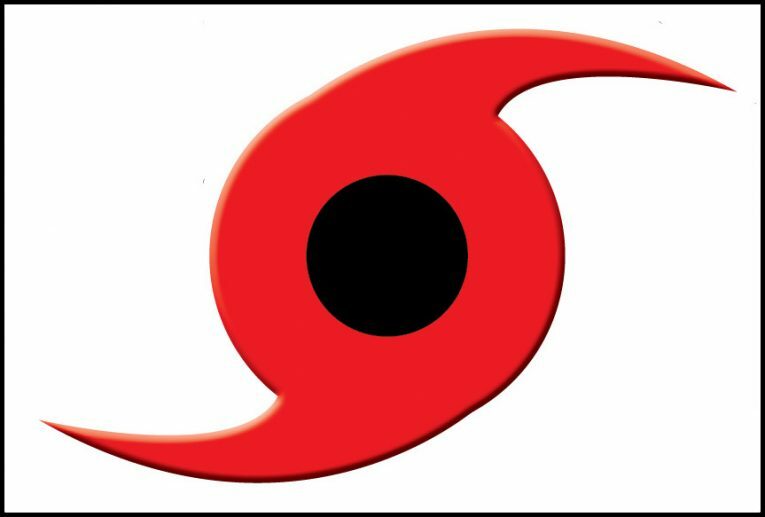 NOAA, too, is urging coastal residents especially to make sure they have their hurricane preparedness plans in place and to monitor the latest forecasts as we move into this peak hurricane season. Fingers crossed! It’s just as well if this hurricane season is a quiet one, especially for those still busy dealing with the after-effects of last September’s Hurricane Irma. 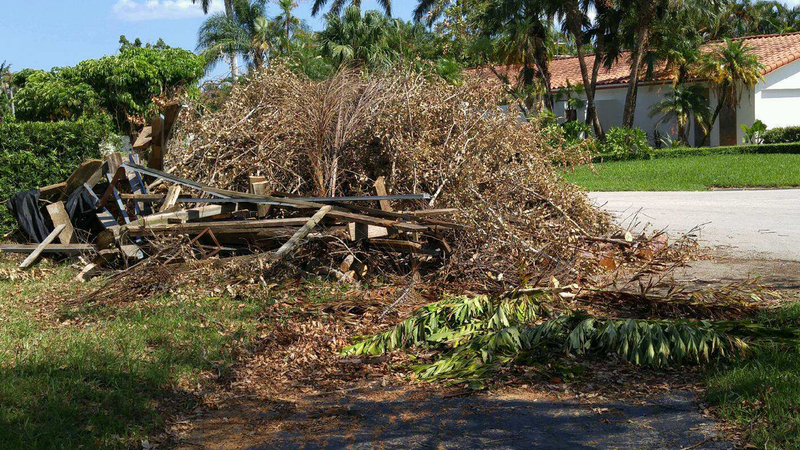 One small community in Miami-Dade County has had to take out a $1+ million line of credit just to pay the bills for emergency debris removal from Irma. Village fathers question whether they’ll see FEMA reimbursement before the note comes due, which amounts to about a third of the village’s annual budget. The Miami Herald reportsthat the village of El Portal recently took out a $1.25 million bridge loan because FEMA hasn’t reimbursed the village for the debris removal. With just 2,300 residents, the village says it simply doesn’t have the cash flow or available reserves to pay two outstanding vendor invoices that total $1.4 million. While a consultant tells the city that FEMA should pay in about 90 days, the Herald reports that cities across the state report the current round of Irma reimbursements are arriving more slowly than usual. In other post-Irma news, a Miami-Dade County grand jury has finished its work looking at the impact Hurricane Irma had on the county and its residents and made suggestions to better handle the next storm. Jurors say the evacuation created traffic jams on Florida’s Turnpike that turned a normally four-hour trip to Orlando to eight-hours and caused motorists to run out of gas and become stranded. The grand jury reportrecommends the state consider reversing southbound traffic flow on the turnpike to allow more northbound traffic, as well as beefing-up gas station reserves. Irma created the largest evacuation order in Florida history, with 600,000 residents from Miami-Dade alone ordered to leave. State plans are already underway to widen the turnpike and open road shoulders to traffic sooner in future evacuations. Another major recommendation: better communication on who should evacuate, noting “People should run from water, but hide from wind,” according to the report. Jurors said the county should improve working with volunteer groups and churches in providing water, ice, and other necessities, especially to elderly and other vulnerable populations. The report commended Miami-Dade County for its plan to take over shelter operations during staffing shortages, working to improve conditions for elderly living in public housing, and also a county requirement that developers make public housing complexes more storm ready with community rooms equipped with kitchens, generators, and staff. That last practice is something that has caught our eye here at Lisa Miller & Associates, as it applies to using our public school buildings as potentially hardened facilities during bad storms. In Mississippi, FEMA recently awarded $7.38 million to build eight stand-along safe rooms in Forrest County. The rooms are practically destruction-proof, designed to withstand winds of up to 200 mph. FEMA is picking up nearly 75% of the tab. LMA frequently brainstorms with state and local emergency management officials and this idea will be at the top of the list. Of course, we know the first thing to be damaged in a home or building during a bad storm is usually the roof. There’s a new report out this past week that shows the perils of not keeping up with all of the updating and remodeling that’s taken place over the past decade. A nearly 60% increase in remodeling since 2009 has resulted in a “misalignment” between insurance premiums and risk exposure, according to BuildFax, a provider of property history data. This past spring, BuildFax reportedthat residential roof remodels in Florida had more than doubled over the past 10 years, a huge trend that it suggested has not been considered by insurance companies in their catastrophe risk modeling and reinsurance negotiations. Its new reportshows the impact of remodeling, driven not only by various catastrophes but also by an economy where remodeling is often less expensive than new construction. BuildFax, using 23 billion data points, reports a nearly 59% increase in residential remodeling activity across the nation from 2009 to this past March. Commercial remodeling has also risen, but more modestly, up 16.3% over the same period. BuildFax warns insurance companies that failure to keep up with the resulting exposure created by remodeling could create unsustainable risk that directly impacts bottom lines. “As homeowners continue to remodel existing properties—and in light of the upcoming hurricane season—carriers must be vigilant in addressing changes to their insured’s properties,” said Jonathan Kanarek, Chief Operating Officer (COO) of BuildFax, in a company news release. Permits for alterations, additions and remodels were pulled for 40.4% of residential properties and 47.4% of commercial properties in the last five years. In the first half of 2018 alone, BuildFax data showed that residential remodels increased 8.6% and commercial remodels increased 3.2%, compared to remodels in the first half of 2017. 9.7% of residential properties and 24% of commercial properties experienced remodels valued at more than $25,000 in the last decade. BuildFax, with its tremendous database of property history and condition data culled from building permits and other sources, is yet another example of how granular data collection and application is changing the face of insurance today, allowing better pricing to risk. Another area where granular data collection has been a huge game changer is in flood insurance. Actuarial experts, disaster modelers, and third-party vendors are utilizing granular data and new technology to produce sophisticated models that allow insurance companies to better predict and price flood risk. With Congress’ recent (the seventh in the last year) short-term re-authorization of the National Flood Insurance Program (NFIP) – without any needed financial, rating, or process improvement reforms – the focus is now squarely on the private market to come to the rescue of the federal government and NFIP policyholders nationwide. We talk regularly here in the LMA Newsletter about the need to encourage the private flood market to grow into a vibrant alternative and complement to the NFIP. Efforts are well underway to spread the Florida flood insurance model laws to other states (more on that in my recent Insurance Journal Commentary) to make flood coverage more available and affordable to Americans everywhere. Florida has been encouraging private insurers to offer flood coverage, and the Office of Insurance Regulation (OIR) just released this update that the number authorized to do so increased by 30% between June 2017 and the end of March this year. OIR said the number of policies issued increased by about 50% — and usually at prices lower than what the NFIP offers. Many insurers including American Integrity, Safe Harbor and the latest entrant, Security First Insurance Company, are writing private flood insurance for their existing policyholders. There are now 25 private primary flood writersin the Florida marketplace. Yet, as insurance commissioner Altmaier recently pointed out, just 41% of residents living in flood risk areas have flood insurance. So we have much work to do. As we always remind folks, you don’t have to live in a flood risk zone to need flood insurance. As FEMA Director Brock says, “If it can rain, it can flood,” especially here in Florida. Flood waters don’t abide by outdated NFIP map lines, either! OIR will be releasing later today or tomorrow the results of its latest data call on total claims numbers and damage from Hurricane Irma on their webpage here, including private flood insurance figures. One final update is scheduled for October 18. Meanwhile, the NFIP – nearly $20 billion in debt despite last fall’s $16 billion bailout from Congress – is having to continue to hedge its bets. On August 1, it expanded its reinsurance program with a $500 million Cat Bond. 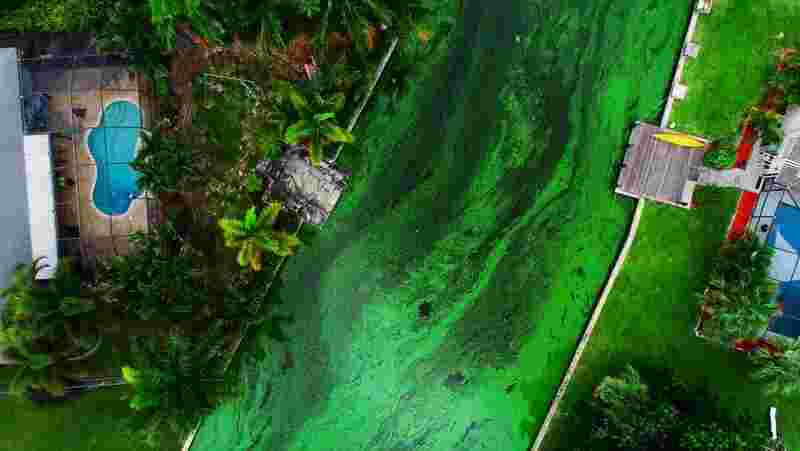 While the threat of hurricanes is always present during the six months of the Atlantic hurricane season, an even bigger threat right now is the blue-green algae that has spread into the inland rivers and coastal waters of both southeast and southwest Florida. Coupled with the growing red tide algae outbreak that is killing fish, dolphins and sea turtles in the Gulf of Mexico, Florida has a stinking, growing environmental and tourism problem on its hands. The blue-green algae blooms are created in part by nutrient-heavy water that’s discharged from Lake Okeechobee into waterways leading east and west to Florida’s coasts. The water is discharged when there’s a lot of rain to prevent more pressure on the Lake’s old depression-era levees and the risk of a breech. Governor Scott this past Friday took a boat tour of the St. Lucie River in Martin County, on Florida’s east coast, to see waterways impacted by the algae blooms. The state is providing Martin County $700,000 in funding to help clean up the algae blooms, part of a $3 million grant program directed by Governor Scott’s emergency order in July. That cleanup is expected to begin as soon as this week. On Florida’s southwest coast, the algae blooms have made their way from Lake Okeechobee into the Gulf of Mexico at Ft. Myers, where they are meeting the “Red Tide” algae blooms created offshore. Businesses, especially seafood restaurants in effected areas, have been disrupted as tourists and locals ask if it’s safe to eat fish. Retail sales are reported down up to 30% in some stores. According to the Florida Fish and Wildlife Conservation Commission (FWC), the red tide bloom extends 20-30 miles offshore, which has forced the commercial fishing fleet searching for grouper and snapper to 80-100 miles offshore. Lee County is now using bed-tax money to help fund the clean-up and once completed, will spend $1 million in a marketing campaign to help bring tourists back to Ft. Myers and nearby county beaches. Red Tide algae blooms can start 40 miles offshore; its toxin is dispersed into the air when bubbles in sea foam pop, according to scientists at the Mote Marine Lab. The toxin affects marine life and causes respiratory irritation in humans and animals. Environmental advocates are pressuring Congress to speed up funding to help the state fund a new reservoir south of Lake Okeechobee that would hold releases from the lake. Amendment 12is one of the few single subject amendments on this November’s ballot. It would require state and local officials to wait six years after leaving office before they could lobby their former government office and would prohibit officials from using their office to receive a “disproportionate benefit” for themselves or relatives. The amendment expands the current ban on legislators and statewide elected officials from lobbying their former government body after leaving office from two years to six years. It also creates that same ban for a variety of other “public officers” specifically defined in the amendment. These include a county commissioner, a county officer, a school board member, a superintendent of schools, an elected municipal officer, an elected officer in a special taxing district (such as a water management district), or a person serving as a secretary, an executive director, or other agency head of a department in the executive branch of state government. The amendment also prohibits those same public officers from lobbying for compensation any other part of state government or the federal government during their term in office. Heads of agencies or departments in the executive branch of state government would be prohibited from lobbying the legislature, governor, executive office of the governor (most state agencies and departments), cabinet members, and departments headed by a cabinet member (such as the attorney general’s office). Amendment 12 also puts lobbying restrictions on former judges and justices for the first time ever. It would prohibit them from lobbing for compensation the legislative and executive branches of state government for six years after leaving their judicial position. It would be up to the legislature to develop laws to implement this amendment, including penalties for violations. The amendment also more specifically defines a conflict of interest by public officers (including legislators and statewide elected officials) as well as public employees. Such an individual “shall not abuse his or her public position in order to obtain a disproportionate benefit for himself or herself; his or her spouse, children, or employer; or for any business with which he or she contracts; in which he or she is an officer, a partner, a director, or a proprietor; or in which he or she owns an interest.” The amendment charges the Florida Commission on Ethics with defining what a “disproportionate benefit” is, as well as the required intent for finding a violation. Penalties would be prescribed by law. Meanwhile, we have two quick updates on other proposed constitutional amendments. Circuit court judges have struck from the ballot Amendment 13, which would eliminate greyhound dog racing in Florida by the year 2020 and Amendment 10, which would require charter counties to elect all their constitutional officers, rather than appoint a select few. The state Supreme Court will review both court decisions and have the final say. 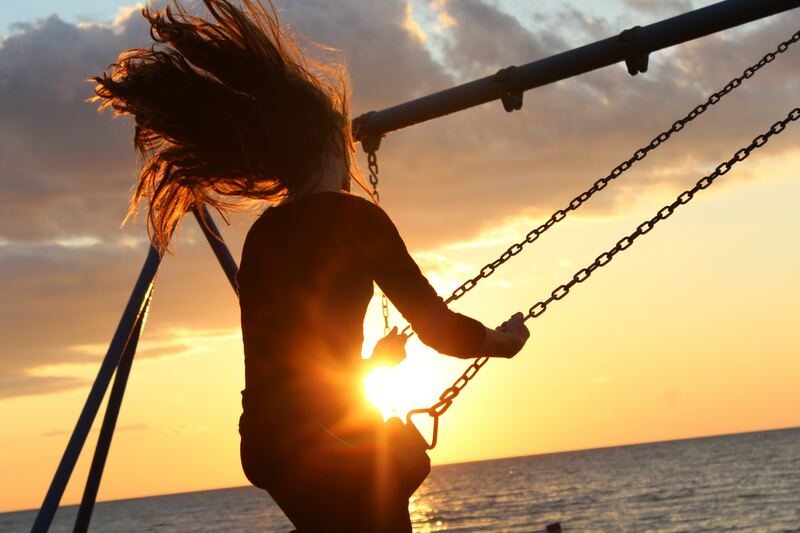 Many of you will recall our last edition’s closing, referencing Disney screenwriter Jennifer Lee, and her advice to us that we be fearless in the pursuit of what sets our souls on fire. I asked our readers to share stories with me and am grateful to those who took the time to send us a note. Out of the many received, I thought I would share one that really hit home. It is from a former insurance agent and now life coach for the physically challenged. He spent many years in the insurance industry “helping customers understand the most complicated subject in the world”! At age 50, he decided to do something else involving his love of helping those who need a little something extra. Through his whole life he knew that there ought to be a way for those who can’t routinely ride a bike or ride a horse or swim or do the things most of us take for granted, to be able to participate in just regular sports. He worked for over two years to raise the funds to open a small facility in his neck of the woods that help the physically challenged to become ready for local, regional and national competitions of certain sports. The facility holds camps for bicycling and other sports that will instill confidence and a sense of belonging to those who sometimes just don’t think they fit. I was so touched by this story, and I hope you have the inspiration to do what sets your soul on fire!